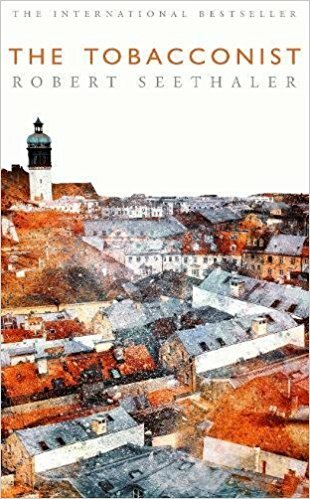 Franz will pursue a relationship with a young woman, Anezka, with varying degrees of success, and occasional advice from Freud, throughout the novel. In the highs and lows of the relationship, Franz is always the innocent, his youth emphasised by her “sonny boy,” an appellation which will be ironically repeated in Franz’s final scene. 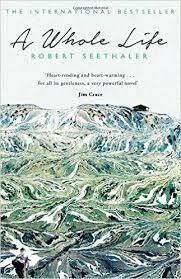 A Whole Life by Robert Seethaler arrives on the Man Booker International Prize long list in a rather unusual position. Seethaler himself is largely unknown, but his novel had been a best seller in Germany (presumably it was also a best seller in his native Austria as well, but that somehow sounds less impressive) and already seems to be something of a commercial success here (I base this on Waterstones’ promotion, and the fact that someone in my book group has already suggested it as our next book). In all this, it has something in common with another German-language novel from last year, Look Who’s Back, though I think it’s fair to say Seethaler is not trying to be funny. Soon he gets a job with a company building the infrastructure needed to run cable cars across the mountains. Egger’s story is also that of the twentieth century and the cable cars represent the arrival of technology in the rural setting. 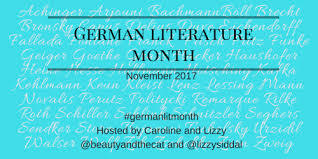 Despite Egger’s employment, they are portrayed rather negatively in the novel, with the phrase “a scar through the forest” being used more than once. They are also possibly complicit in the saddest event in Egger’s life (which I won’t mention, there being such little plot in this novel it would seem a shame to reveal one of the most affecting scenes). When war breaks out, the company begin to make armaments instead; Egger, meanwhile, uses his expertise on the Eastern Front, spending eight years in a Russian prisoner of war camp as a result. When Egger returns from the prison camp, he finds a new occupation as a mountain guide: now tourism, rather than farming, provides the village’s income. When he hears Anna crying, he leaves. Surely there should be something to regret about a life lived almost entirely alone? His positive qualities as a worker also need more closely examined as they seem to largely consist of working hard for little reward and not complaining. Seethaler does not disguise his working conditions: at one point, felling pines in the forest, a work-mate loses an arm due to “bad luck”. And, of course, there’s the eight year of his life he spends imprisoned thanks to a madman’s war (though they take up only a few pages of the novel). Perhaps, then, I underestimate Seethaler when I say he isn’t trying to be funny: Egger’s lack of regrets seems to be a very dark joke indeed, as does the fact that some readers are under the impression that the novel contains ‘wisdom’, presumably referring to such aphorisms as “It’ll sort itself out, like everything in life” and “The old die making way for the new. That’s how it is and how it’ll always be!” Even the novel’s length seems a joke at Egger’s expense. Whether A Whole Life will make it onto the short list is difficult to say. I suspect it will be a book which warms some and leaves others cold, as befitting a novel where its unremarkable ordinariness is both its selling point and flaw. You are currently browsing the archives for the Robert Seethaler category.